Why not Boost the Efficiency of your tractors by equipping them with Zuidberg™ Front Mounted 3-Point Hitches and PTOs? Why not maximize the available horsepower of your tractor by carrying out two operations simultaneously? Why not perform seedbed preparation and planting, spraying and cultivating, cutting hay with front and rear mounted mower conditioners at the same time? Whereas before, the front end of a tractor was just carrying weights, they are now replaced with a working implement. Furthermore, Zuidberg™ front hitch and PTO systems help alleviate compaction by allowing for fewer passes and better weight distribution of the equipment. Besides, many operations can be carried out much easier with front mounted equipment such as cultivating, wood shredding, snow plowing, and snow blowing, to name a few. As you can see…the applications are endless. As one of the most specialized production companies in the agricultural sector, Zuidberg™ is the world’s leading producer of frontline systems for over 25 years. Perhaps the most valuable commodity we offer is our knowledge and experience. 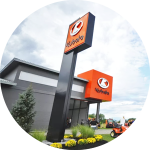 Rather than simply taking orders for products, our experienced staff is here to help you find a solution. Distributing to Canada, Frontlink Inc. has front hitches and PTO’s for virtually every make and model of tractor available. 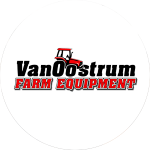 And because they are built to ISO 9001 standards and based on the principles of clearance-free mounting, easy fit, high reliability, and exceptional value for the money, the advantages of this product will make you stop and wonder: What is the front of your tractor doing? 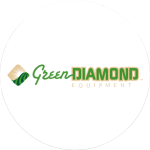 Please browse our website to learn more and how our front-hitch and PTO systems can benefit today’s farmers and custom operators.